Let me start with...holy cow, there is a decent burger in the Valley! At least there was at the time of this review. 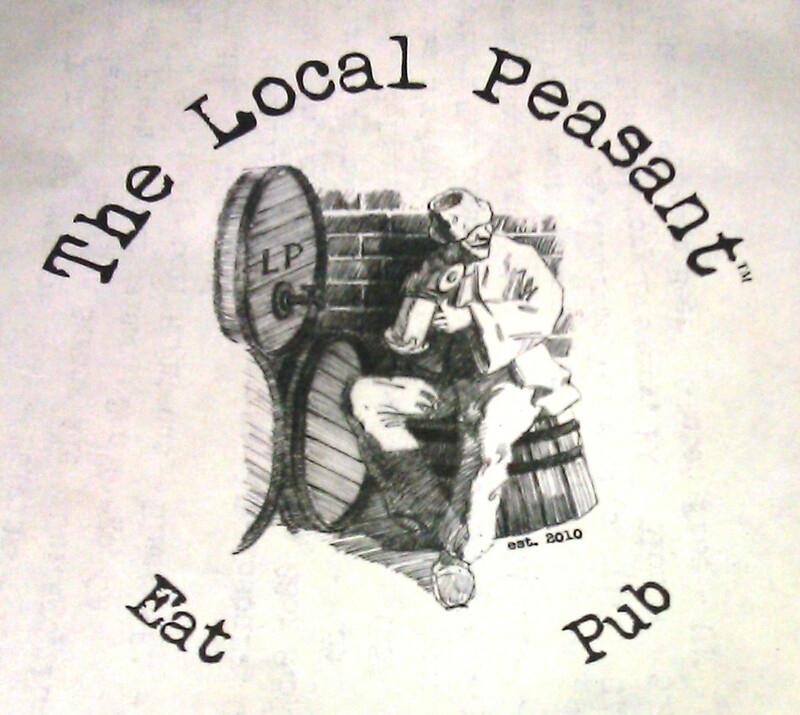 I had been hearing good things from numerous folks about the recently opened (10 months ago) The Local Peasant. My UrbanDig Editor and Fat Bruce Lee were among those that had extolled the virtues of the cheeseburger at this establishment. Happy Meal and I made our way from civilization all the way to the San Fernando Valley in a reasonable amount of time for a Saturday evening. We opted for the $4 valet parking rather than hunting down the rare open metered parking on Ventura Blvd. Happy Meal and I were quickly seated, and we ordered a couple of The Classic Burgers and a side of fries. After about 17 minutes, our meals arrived. 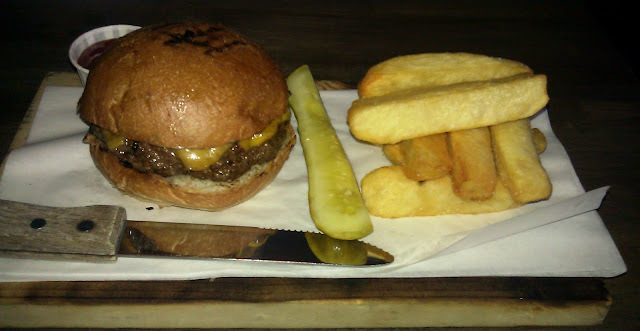 The Beef: The Local Peasant was not screwing around when it came to the beef in the burgers. They were using a blend of Filet, Short Rib, and Skirt Steak from Rocker Brothers Meat and Provisions. All that said, the beef was excellent. It was thoroughly beefy with a firm and sustained not of iron. It had just enough funk, and that was mostly to the nose. The flavor was all ground steak. The texture was predictably firm and just chewy enough. The fat content was about 5% higher than it needed to be. I pegged it at about 25%, and that was a little too much for this burger. It seemed like fat for the sake of fat. The burger was juicy enough and flavorful enough to carry off the standard 20% fat content without skipping a beat in terms of flavor or moisture. The Seasoning: Salt and pepper only. That was all that it needed. The seasoning was liberally applied but not in a heavy-handed fashion. The salt and pepper served to further showcase the premium cuts of beef in the burger. The Sear: Hooray! The Local Peasant seared the burger in cast iron skillets. The sear was dark, deep, crisp, and flavorful without being burnt. The sear was simply superb. The Preparation: The beef arrived pre-ground and blended from Rocker Brothers Meats and Provisions. I did speak with one of the co-owners, Karl Makinen, and he indicated that the kitchen really wanted to bring the beef grinding and blending in-house. The patties were hand-formed into thick 8-ounce patties during morning prep. The burgers were cooked on intensely hot cast iron skillets. The use of cast iron to sear the burgers was a very thoughtful touch and surprisingly rare. 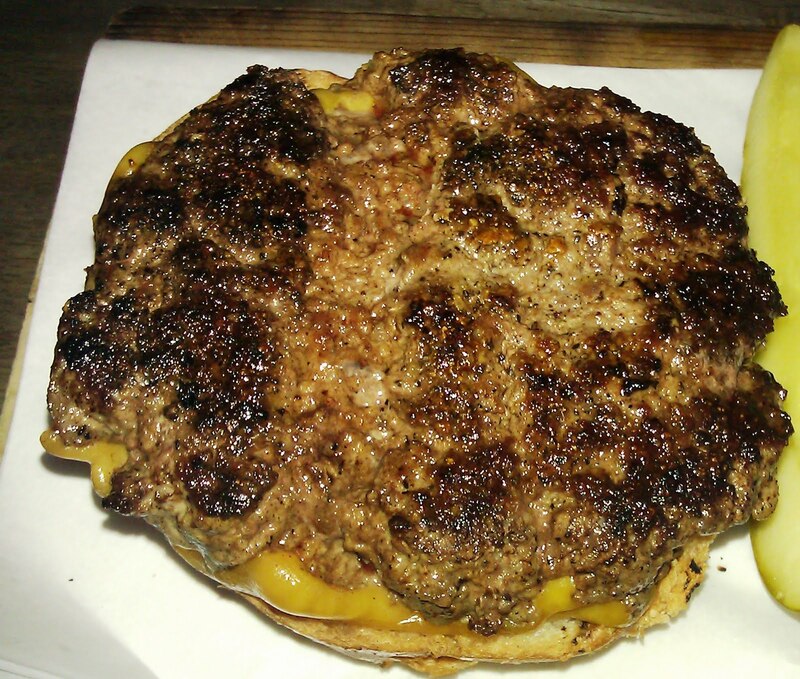 The Brindle Room in NYC prepared their burgers in a similar fashion, and it just worked. Cast iron is what I use to sear ALL of my proteins when I cook at home. My burger came out a perfect Med-Rare, and Happy Meal had his Medium. The kitchen nailed both cooking temperatures. The Cheese: We both ordered our Classic Burgers with a slice of Cheddar. The cheese was competent, but completely superfluous. It added an element of creaminess, but it was otherwise invisible to the palate. The burger was complete enough to stand on its own. 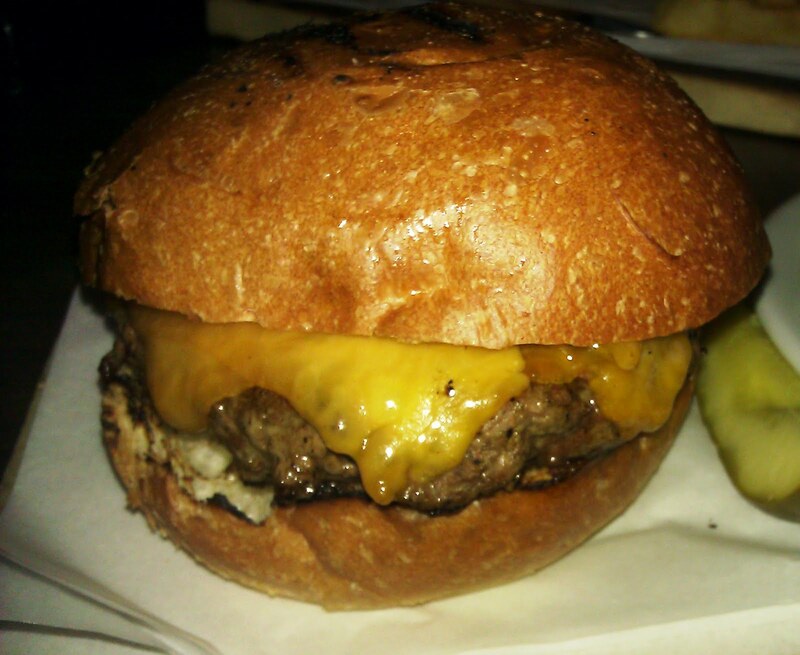 The Bun: The buns at The Local Peasant were sourced from L.A. Baking Company. The moist, fresh brioche buns were almost completely neutral. The bun served only to deliver the quality ground meat from the plate to the palate. That was fine. The meat was so good, that it would have been pointless to draw focus from it with a bun. 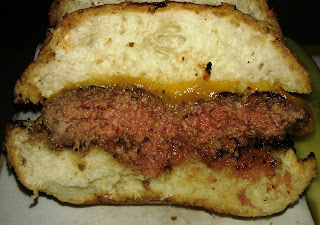 The bun was lightly toasted, and it gracefully gave up its life absorbing the copious juices and fats from the burger. The Meat To Bun Ratio: This was spot on. The Fries: The fries were cut in-house. The Local Peasant served a thick-cut, peel-off fry. The fries were thoroughly brined and par-cooked. They were perfectly seasoned, and they came out very hot. So hot, that we couldn't really get to them until about the midway point of the meal. The thick fries were crisp on the outside and uniformly creamy on the inside. No fries were left uneaten. The Toppings: The Roma tomato slices were ripe, juicy, and flavorful. The Iceberg lettuce looked just fine. Dessert: We had the good fortune of sampling the flourless, chocolate cake. This was a delight. It arrived very hot and nearly molten in the center. It was topped with vanilla ice cream and dusted with powdered sugar. The plate was drizzled with caramel. No cake went to waste at our table. The Value: The Local Peasant's The Classic Burger went for 10 bucks, and fries were 3 bucks extra. While the value was not exceptional, the ingredients were thoughtfully selected and prepared. The value was average, and the burgers were delicious. Burger Review : The Local Peasant...finally, a truly good burger in the Valley. Good review. Nice sear. Glad you mentioned the cast iron skillets in use here, and happy to know you use them at home for your burgers. It should be noted for people making a special burger trip, that this place opens at 4PM and closes at 2AM. That's too bad. I am sorry that your experience was not as good as mine.